Your day starts with you hoping on a boat, coasting over glistening blue waters for an hour as you go from the island of Flores to Komodo Island in Komodo National Park, Indonesia. The sun rises and so does the humidity and the air gets hotter and hotter. As the boat approaches the dock you make sure you don’t have any food on you, lather on some sunscreen, grab your camera and take a few deep breaths. On the dock with your camera in hand you are greeted by park rangers holding sticks with a “V” shape at the end, meant for pushing away Komodo Dragons. From the stories you’ve heard and facts you know this stick doesn’t appear to be the type of tool one might want to use to defend off a 2-3 meter long 150lb, bacteria mouth filled charging dragon. However you trust the guards smiling face. A short walk down a path and you reach the Rangers station, eating area, kitchen, gift shop etc. and the dragons. Although never fed by the Rangers, the smell of food from the kitchen attracts them there and back in your head you think “Oh, I wonder if this cut on my leg has brought them here as well?” Knowing that the Komodo Dragon can smell blood from 18kms away, one of them looks at you and your heart beings to race. Keeping yourself surrounded by your group and with guards on all sides of you at all times you snap some photos. Standing in the eating area, above ground fellow Komodo viewers hang over the edge “to get that shot” while you meekly stand back, hardly able to see anything, but that little bit is enough. Two of the dragons show aggression towards each other and have a small fight, the bigger one bleeds a bit from his mouth with drool hanging down. He looks at you again. Thoughts race through your mind that if he wants a bite of anyone he is coming right for you and only you. Rangers and people you are with encourage you to get closer which makes you only want to get further away, like perhaps back on the safety of the boat. The group doddles, not getting enough of the dragons, photo after photo but the quicker you can get back to the boat the better. You appear to of been the only one scared completely the f*** out by the Komodo Dragons, but you don’t care. 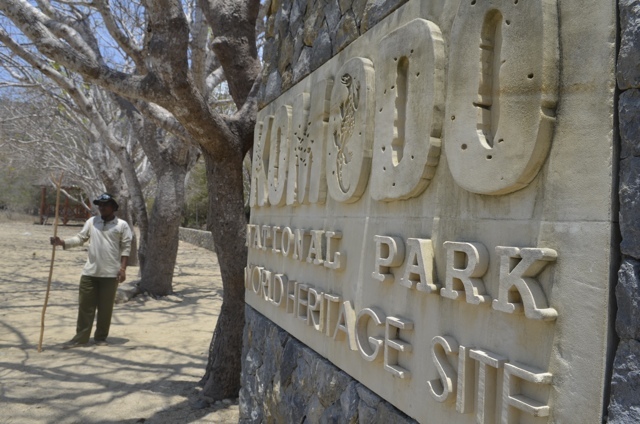 You came, you saw, you survived Komodo National Park. Photographed with a Nikon D5100 using a 17-55mm lens. If you trekking at komodo island you must with the guide and always take holding sticks with a “V” . don’t afraid and the first is don’t because the komodo will pursue you and don’t forget that the komodo is the great runner. 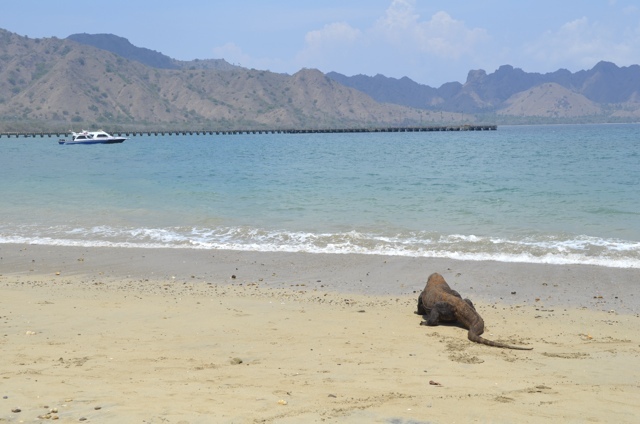 You doing trekking to see komodo, but are you not diving to see the manta ? that’s will be the largest fish that you ever seen before. Hi! Great post! 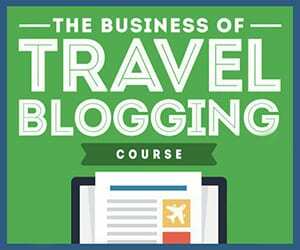 May I know which tour company did you use for this? 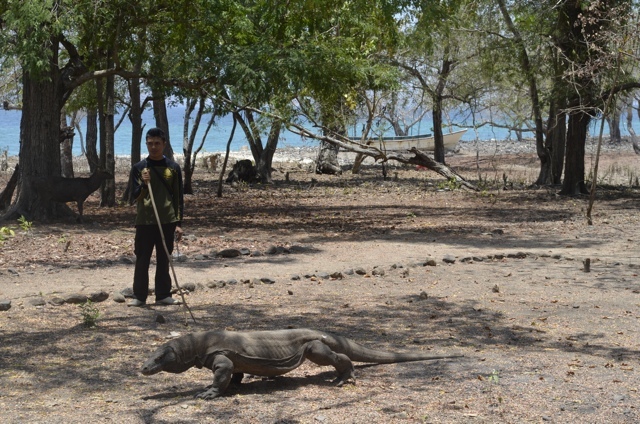 Hey Leyla, glad I amused you :) haha I heard so many stories of tourists meeting their ends with the Komodo, so scary! haha Also like three weeks prior to our visit a local woman had been bit by one, she survived though which is good. I’m with you, Cailin. Those things scare the bejesus out of me. I’m impressed you went! I didn’t have much choice… haha I mean I could of stayed in the boat but thats not much fun. It was really pretty there too! Oh my… They do look like dinosaurs. I was petrified of the monitor lizards in Malaysia, so not sure I would deal too well with their big brothers here. Congratulations on surviving! They look too much like dinosaurs – scary!